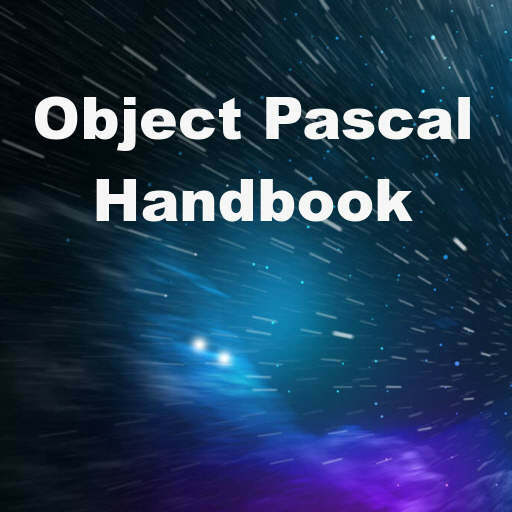 Developer Marco Cantu from Embarcadero has released a draft ebook for Object Pascal called the Object Pascal Handbook. Marco has some excerpts from the handbook on his blog here. He says the goal of the handbook is to create a comprehensive guide to Object Pascal as it exists today. Reading through the guide it seems like it is really good for new Object Pascal developers in that it explains the ins and outs of the syntax of Object Pascal. It uses comparisons to some other languages like Java, C#, and C if you are coming from one of those languages. It is also good for long time Object Pascal developers in that it is very comprehensive and you’ll probably find some syntax you haven’t either seen or at used very often. It’s like an encyclopedia for Object Pascal in that you can quickly reference it to find out how to write external function declarations, dynamically concatenate arrays, or create records with methods. The handbook draft is currently available to registered users of Delphi XE7 Firemonkey. Head over to Embarcadero Code Central and download the Object Pascal Handbook for registered users of Delphi XE7 Firemonkey.